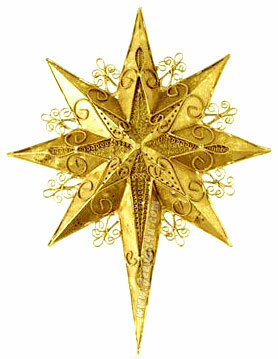 The Christmas Star is hanging all over houses, institutes of our time. The symbolic expression of keeping star is to make known to the people that Jesus is born in my family. Actually the Christmas star was the direct indication for the three kings from the east to offer their gifts to the King of the world. Christ was born physically in time and space but the spiritual born of Jesus still takes place. The three kings are once again in search of the place where Jesus is born, and they are being directed by seeing the star hanging near by my home.